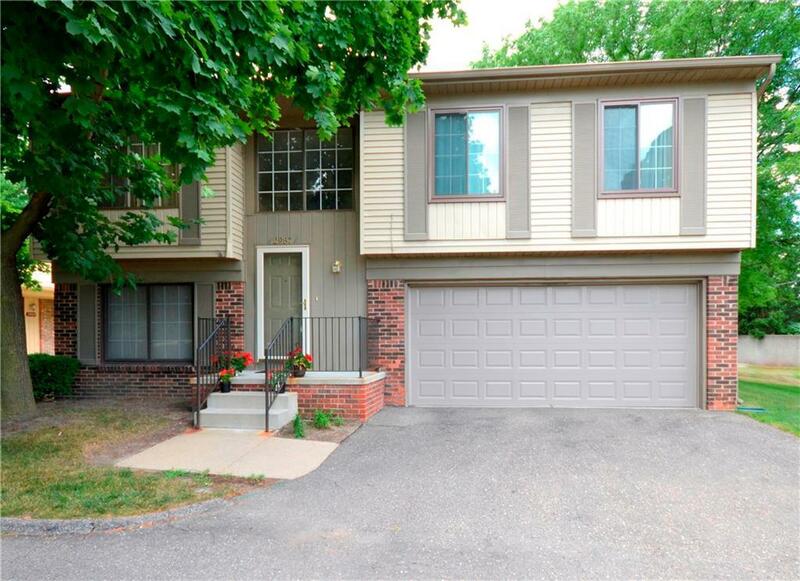 Hard-to-find detached 3 bedroom, 1 1/2 bath condo with a 2 car attached garage that is ready to move in! Inside you'll find a big kitchen with all of the appliances included (washer and dryer, too!). There are hardwood floors in the kitchen and dining room. The large family room has a fireplace and walk-out to a privacy-fenced patio. The condo fee includes: pool, clubhouse, water, trash pickup, snow removal, lawn care, roof and exterior maintenance. Convenient to shopping, dining and highways. This is ready for you to make it your own. BUYERS NOTE: FHA MORTGAGE APPROVED AND APPRAISED FOR MORE THAN LIST PRICE! SELLER OPEN TO SELLER CREDIT FOR COSMETIC UPDATES ON SERIOUS OFFERS.